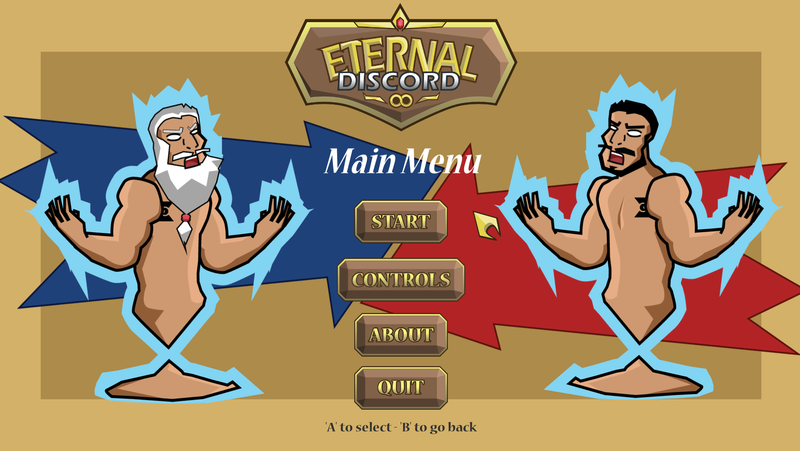 Eternal Discord is a 2D local multiplayer fighting game. In an attempt to save the world from humans spending out Earth’s natural resources, Father Time tries to turn back time. Instead, he brings his younger self into the future and the two fight in an epic battle to establish who is the true Father of Eternity. Xbox controllers are highly recommended for play. Players choose a character, then their beginning buffs. 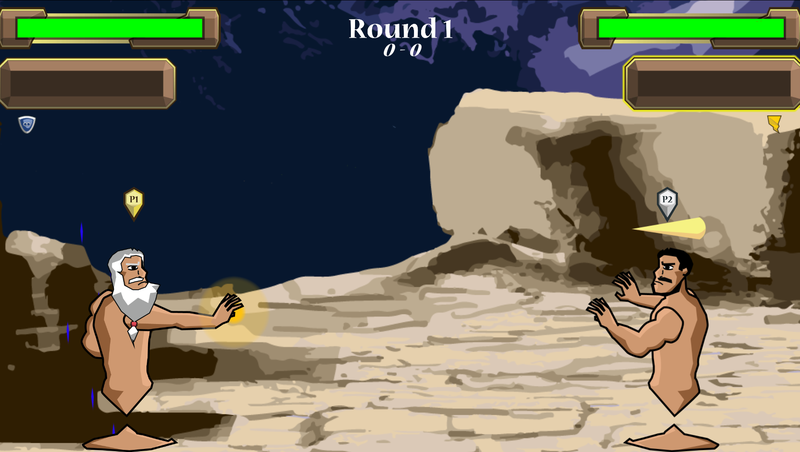 Using Left Joystick for movement and A for jump, players use combinations of X, Y, and B for attacks. Right Bumper is used to block and Right Trigger activates the Super Attack once the power meter is full. Players face in a best of 3 round system, with additional buff selections between each round. © 2018 Michigan State University. All Rights Reserved.